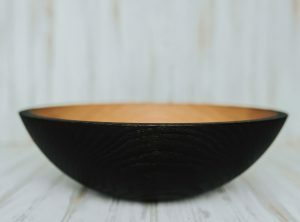 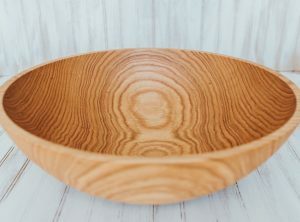 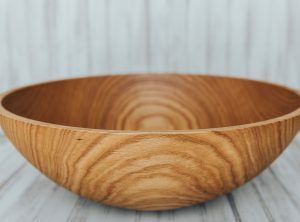 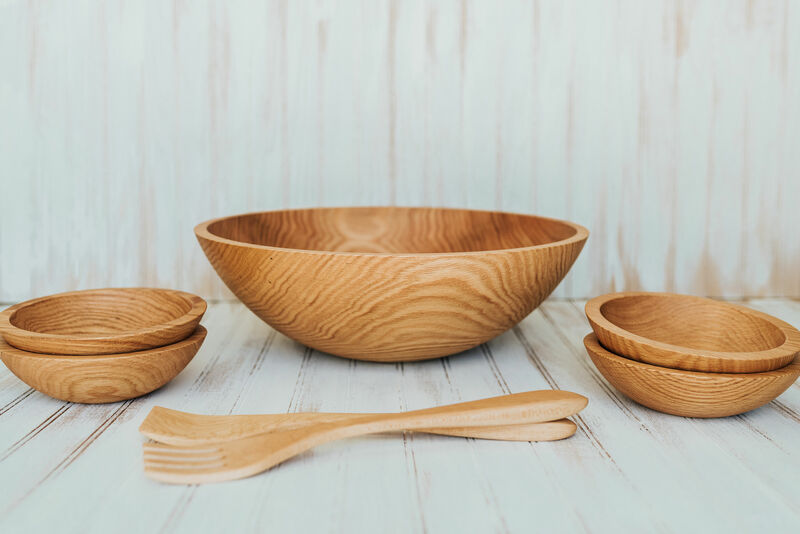 These spectacular solid Red Oak wooden bowls our turned by the craftsmen at the Holland Bowl Mill, one of the last commercial wood bowl mills in production in the United States. 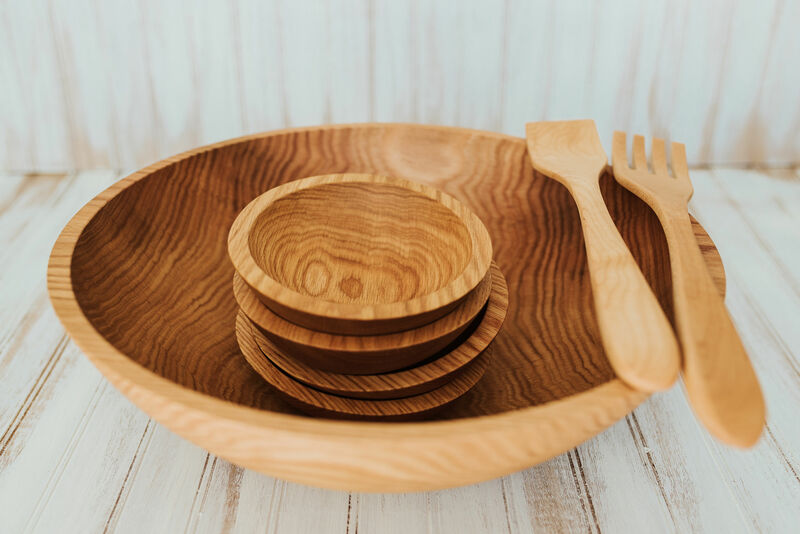 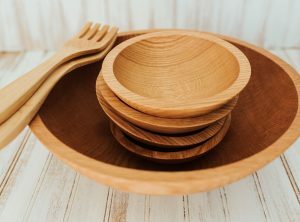 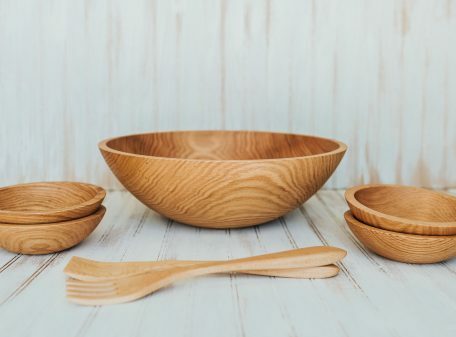 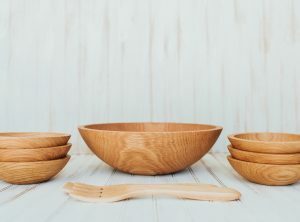 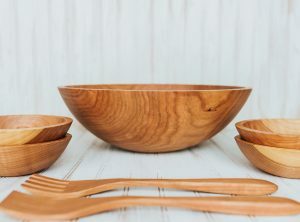 5 bowl Red Oak serving set comes with a 17″ serving bowl, (4) 7″ side salad bowls, and a set of 14″ servers. 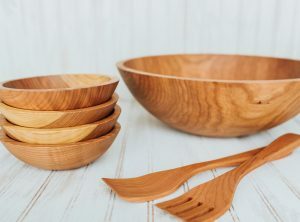 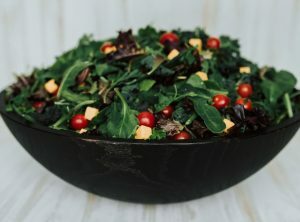 Perfect for a beautiful salad. 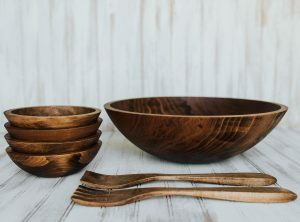 Each hand dipped in food grade mineral oil and individually rubbed in bees oil. 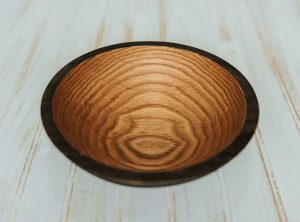 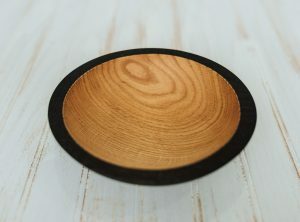 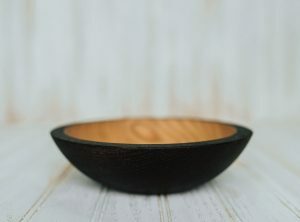 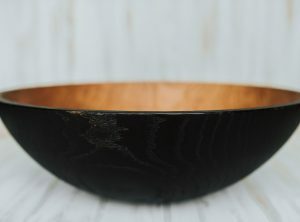 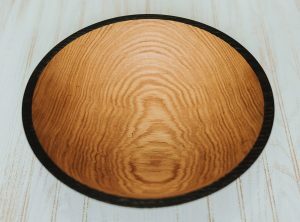 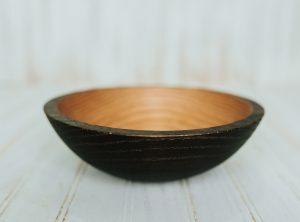 Red Oak bowls are impressive in grain and character. 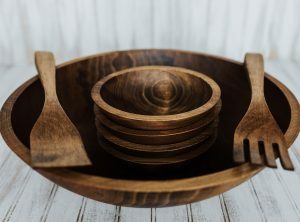 Makes quite a statement centered on your dining room table!